We are putting the finishing touches on remodeling the dining room and I thought it was about time I had a centerpiece for my new table. The problem is that I wanted something different and couldn't find anything I liked in the store. 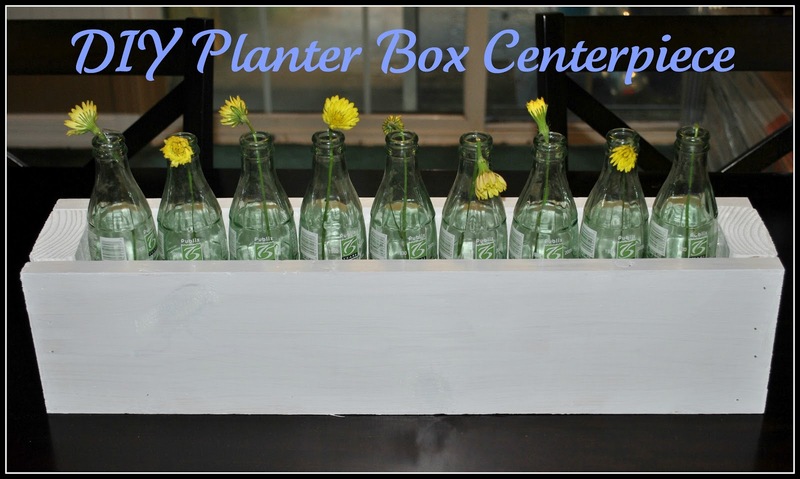 So, I turned to the Internet and saw this planter box over at Shanty 2 Chic. I loved it and knew with a few adjustments, it would make the perfect centerpiece. Best of all? It was cheap to make and looks adorable. 9 - 12 oz. glass bottles. I used old green tinted coke bottles, but you could use any you like. 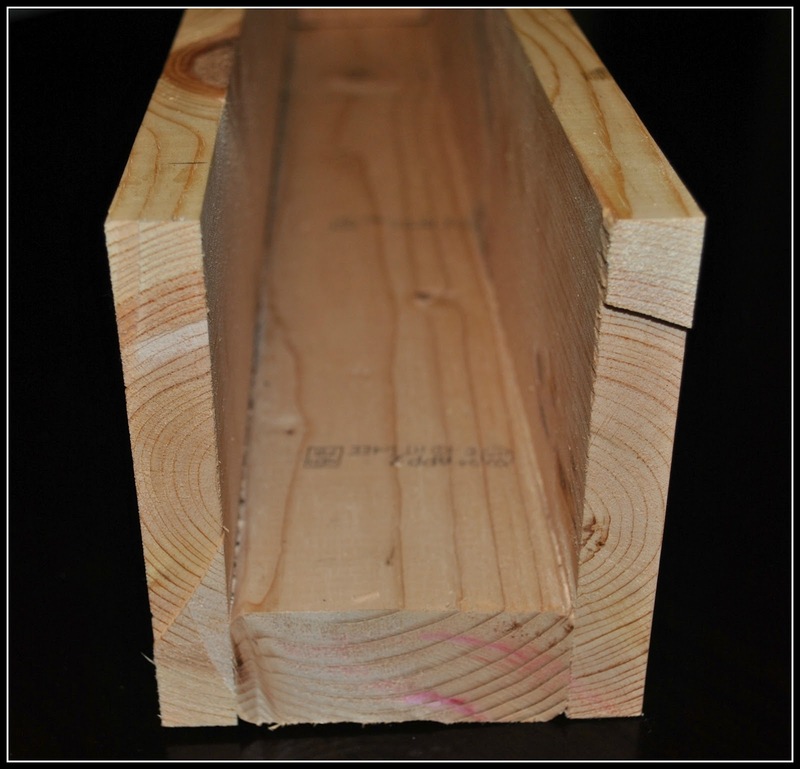 Cut the 1x6x4 into two 2 foot sections and then cut a two foot matching section off the 2x4 board and attach them as pictured below. 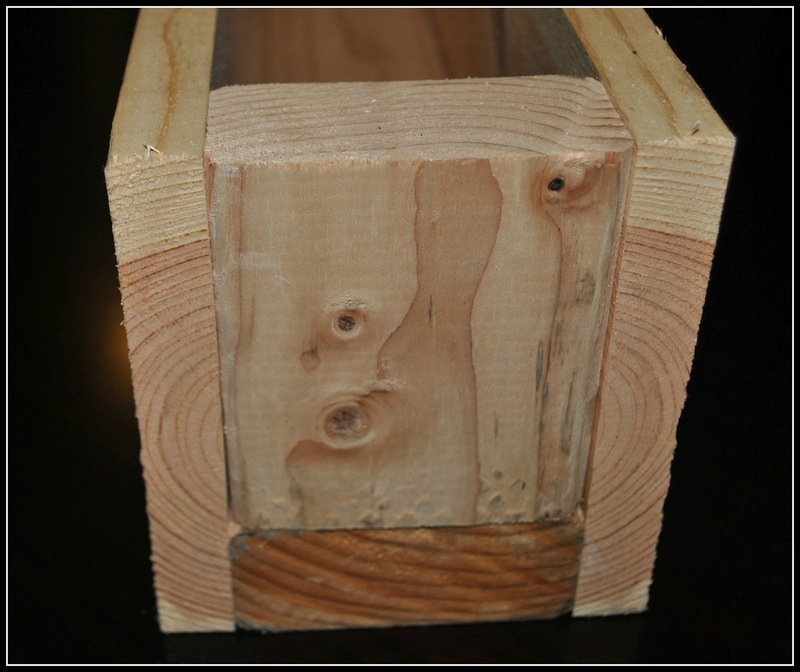 We used a nail gun, but you could also use a strong adhesive instead. 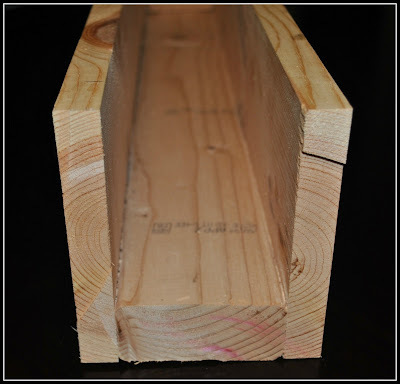 Measure and cut two small sections from the 2x4 to fit into the ends of the box as shown in the picture below. 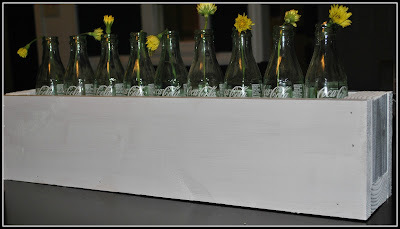 Paint or stain your box and insert bottles with flowers of your choice. 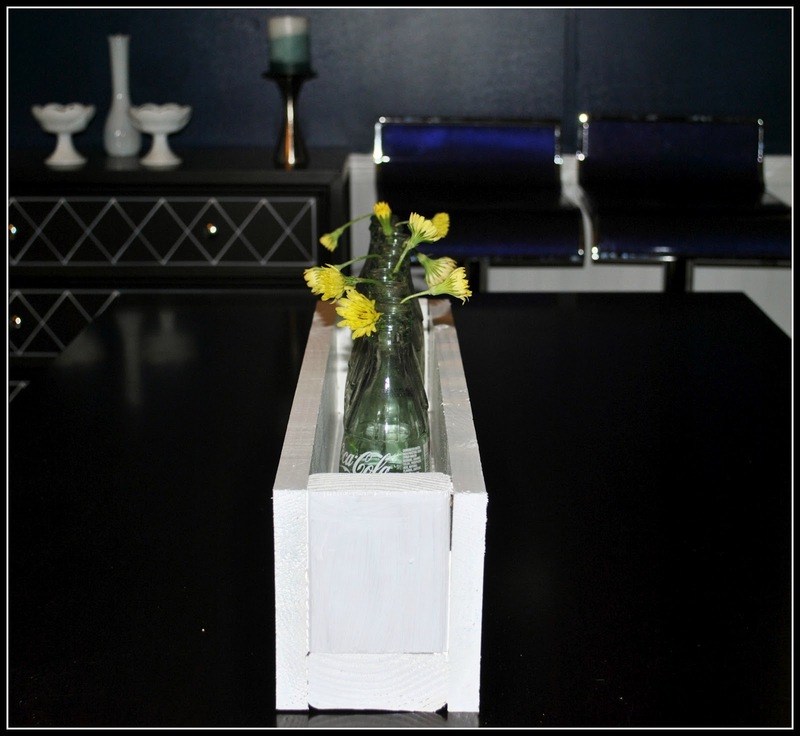 I chose to paint mine white as it went best with the color scheme of the room and my dark wood table. I also temporarily used some dandelions from outside since I have not been to the craft store to get any artificial flowers yet. I love that - adoarable! Great job, it looks great! How adorable! I love the green Coke bottles you chose. Plus I love the fact that you can change the flowers to fit whatever season or theme your table is dressed for. I cannot wait to see the finished product. Your taste is awesome. Great idea. I have a friend that uses a planter box to feed her cats. She has is outside for them. Looks great! 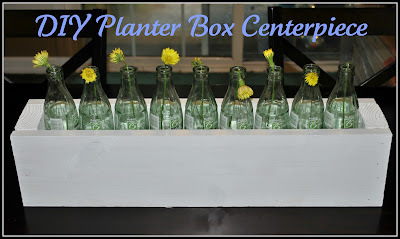 I would love to try this with big bright pink gerber daisys! I love crafts. You did an incredible job. That is so cute! I would love to try this, my kids would have so much fun with it. I love that...super cute and I love that it's a cheap project. that looks great. you did an awesome job! What a great idea and I love the vintage look it has.